If RCB Bank is any indication, some community banks are taking their own lead and rapidly implementing branch transformation strategies tailored to their particular and sometimes wildly varying customer bases. Based in Claremore, Oklahoma best known as the home of Will Rogers and the setting for the musical Oklahoma! RCB has more than 40 branches serving everyone from older populations in rural towns of 500 people to millennials in the college towns of Norman, Oklahoma City, Stillwater and Claremore. Progressive in services, RCB Bank is relentlessly committed to relationships, community and bold innovation and not waiting to see what the big banks do. This summer, RCB Bank will open a new 1,090 square foot branch in Norman that features a Nautilus Hyosung MX8800 with teller assist, a study lounge with personal computers and pastry shop with Wi-Fi. The location will have 24/7 secure access to banking services. There’s certainly nothing sleepy about RCB Bank s growth from $750 million in assets and 11 locations in 2005 to $2.5 billion in assets and more than 40 locations in Oklahoma and Kansas today. RCB Bank is using technology to bring the account application process wherever people gather: an in-house app on iPads allows bank employees to complete signups anywhere anytime. I take mine with me everywhere,  Weddington says. 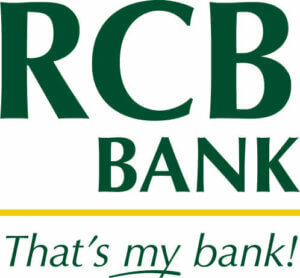 While RCB Bank knows some of its customers will always want to handle their transactions with a person (one rural location is only open three days a week), the bank intends to introduce video banking and other efficient customer service technology wherever it makes sense across its footprint. We choose Hyosung because their systems offer all the latest features and are working with Bancsource on purchase and implementation because they are flexible and take care of our needs,  he added. 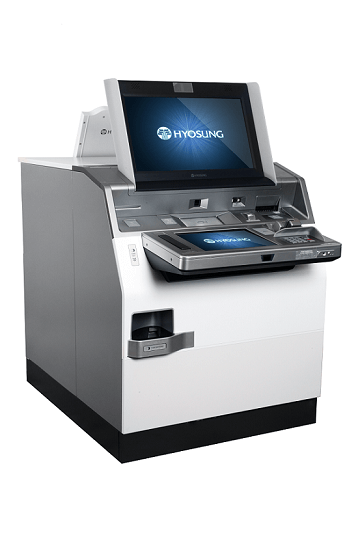 Bancsource is a multivendor banking equipment service and sales company and the largest master value added reseller for Nautilus Hyosung in the North American financial institution market. The company has a team of highly experienced banking industry professionals who work with financial institutions to redefine and optimize the branch environment, said Rick Istnick, Bancsource senior vice president of sales. RCB Bank is committed to serving its communities with conservative banking practices and progressive banking products. Founded in 1936, RCB Bank is currently the six largest Oklahoma-owned bank. For additional information, visit www.RCBbank.com. Equal Housing Lender and Member FDIC.